Sometimes simple makes a bold, elegant, and beautiful statement. 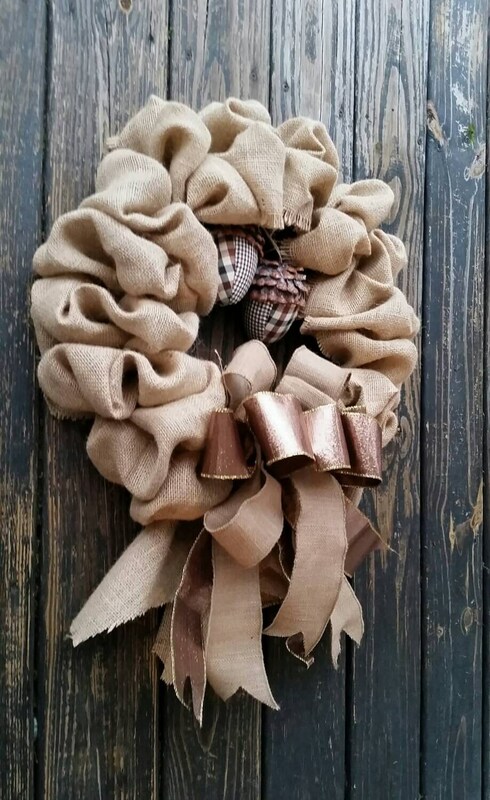 This Burlap Christmas Wreath falls amid the description. 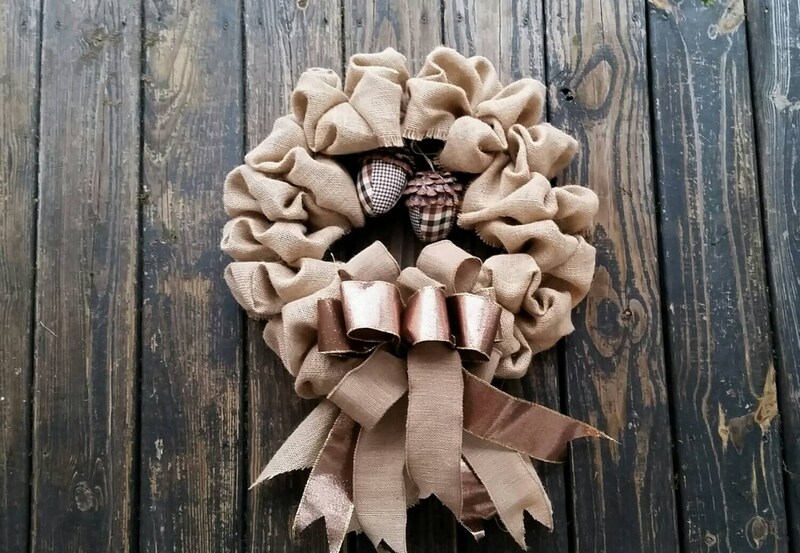 Natural burlap was used to create this gorgeous wreath. 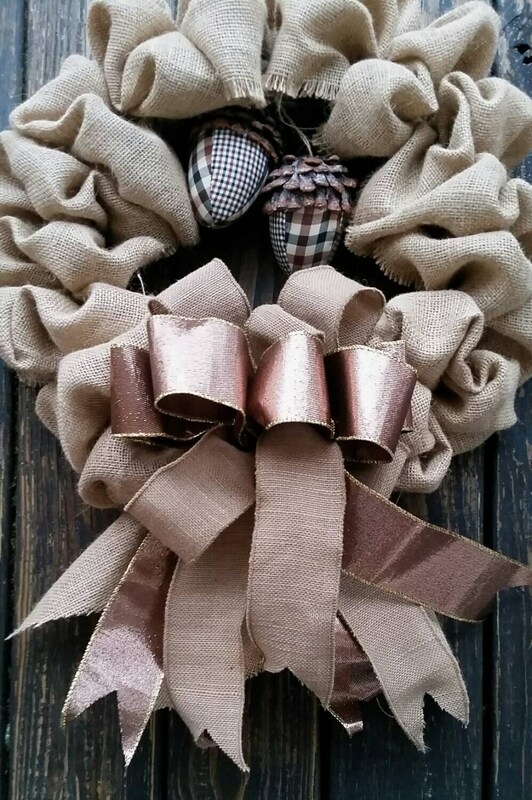 A beautiful bronze ribbon was added to the burlap bow at the base. 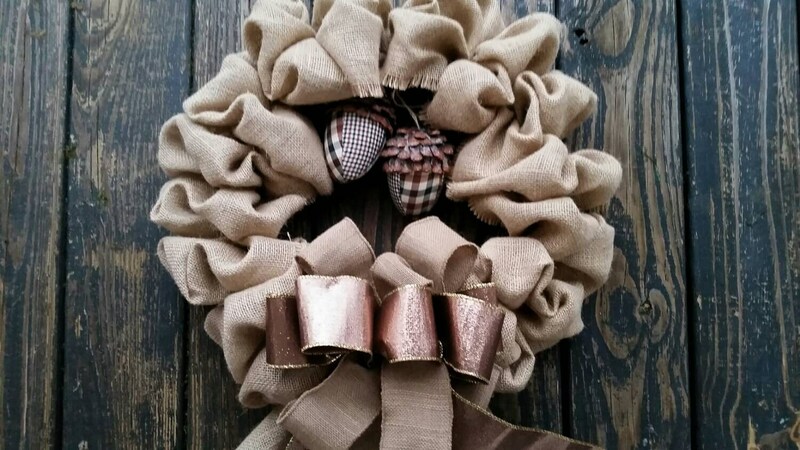 Two large acorns hang in the center of the wreath. 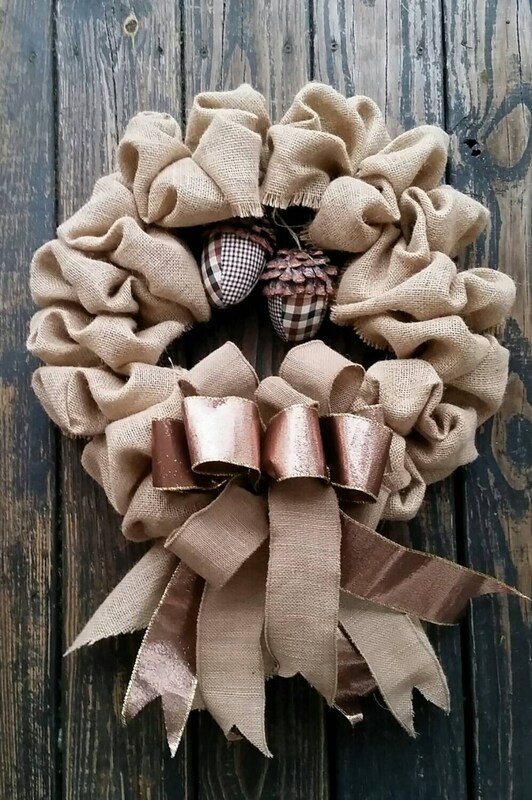 The earthy tones of this Christmas Wreath are simply stunning.